Lullaby’s magical sound has grabbed the attention of many those people, who really beleive in love and affection. When you will listen to the music, you will like to get involved in that world, where you and your beloved would love to adore each other. Lullaby’s alluring sound directly enters into the heart and shocks the whole body with excitment and a great sense of happiness. Nobody can dislike the music because it surrounds the whole mind with positive vibes. when depression goes on peak and you wish for having supreme peace of mind, you should immediately hear the music, which will soothe your senses and you will come out of your current trance very soon. This sound is a great way to relax your muscles, when you will listen to the song by closing your eyes and by sitting in a calm room. 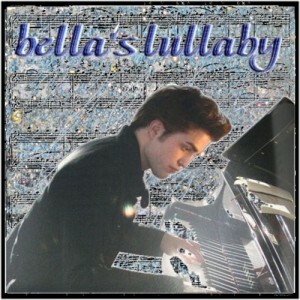 Robbert has perfromed very well by playing this music on piano in Twilight, which was just for Bella by Edward. Is She Robert’s New Girlfriend? I don’t know what’s the problem with media that whenever any celebrity goes with any of his/her friends, they made an affair. Check out the video in which Rober is sitting with a girl, who is not familiar with the media. If Robert Pattinson hasn’t told the name of his all friends to media, it doesn’t mean that he has lots of girlfriends. Sitting like this with a girl shouldn’ t be promoted in a negative manner. Robert Pattinson has right to spend plenty of time with any of his friends and on which, media shouldn’t has any complaint. So please media, grow up! Let the celeberity give some freedom to have some good time with his good friends. Posted on February 8, 2010 October 16, 2015 Author sehbirCategories GeneralLeave a comment on Is She Robert’s New Girlfriend? 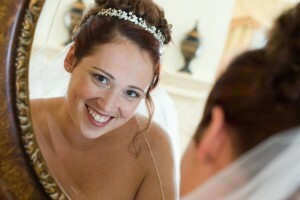 Photographer never leaves you dissatisfied, when you are getting prepared for upcomming event. He is the one, who can unfold several emotions and happiest feelings of your life on the spot. You cannot get this type of ingredient from a unprofessional approach. You need to know some facts about why you should give votes to Professional photographers. When you will come to know about the importance of a professional photographer, you will never like to go for that source through which, you might get risks. Basically, professional photographers are expert in showing their artistry as well as they are kept abreast of latest technologies, which can make wedding photography better. Wedding photographer helps you to potray, what you are trying to show. Always go for that option through which you can get internal satisfaction. When you talk to your photographer, make sure that you can make a good chemistry with each other. The more you will have good relations the more you can be able to create something unusual. A good wedding photographer provides good package of making you cheerful at the time, when you are confused as well as excited about your big day. Most importantly, don’t rely on one option, you should check out multipe of alternatives so that you can make choose of what you have expected. Your chosen photographer should have good nature of mixing with your guests which will give ease to not only yours guest but also you will be proud on your selected option. A good and competent wedding photographer should be prepared for unpreictable challenges, which can occur on an important event. He should be prepared and well-versed about every critical and important moment to be captured. Make sure that you are going to hire professional photographer, who can make your big day alluring, beyound your expectations. In the video, you will find some of beautiful and romantic quotes ever from Twilight Series. After reading these quotes, you will get involved into a new imaginative world, where you and your pretty thoughts will roam around. Check these quotations in which Bella and Edward have described their feelings for each other superbly. These quotations are the most loveable quotations for those, who are in love with some one. This is what called cute moments. Robert is looking great in this video and is having natural look as always. Robert pattinson is one of those stars, who don’t need to make artificial poses because their styles come naturally. You can see this thing by yourself in this video. Have a look. Twilight had made him charming, Twilight New Moon had made him extravagant and now Remember me is going to make Robert something worthwhile for the whole world. I am sure people, who don’t like Robert that much, would start loving him because Robert’s new movie is going to release very soon and it would defenitely get much votes. 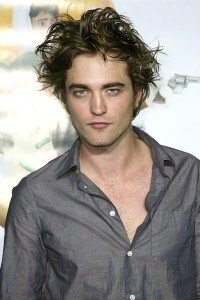 In remember me, Robert has a different look and appearence, which is very nice and different from his vampire hunk look. Let’s see how this cute and sweet boy makes the whole world shocked through ” Remember me”. Let’s check it out Robert’s Remember me trailer. This song really touched my heart, when Bella got unconscious after Edward had saved her life. It was the rigt song chosen for that moment, which was so beautiful and so touchy at the time, when Edward was there to help Bella. And she thought, she might died. Her hands were all twisted, she was pointing at me. I was damned by the light coming out of her eyes. She spoke with a voice that disrupted the sky. Robert Pattinson has never showed his bad pose because he always looks cool in all styles. Let’s check it out Robert’s latest pictures in which he has shown one of its hottest poses ever. And lyrics of the background songs are outstanding. You might be considering non-professional photographers for your wedding but you need to know that without having proper knowledge, no one can be a perfect photographer. There is a need to get degree and has to be skillful enough to peek inside the criticial moments, which can make photographs alluring and attractive. Professional photographer gives personal touches to your desirable event because he knows, how to make a perfect angle of bride or groom and which elements need to boost up to have attractive pictures. Photography is a great art to make pictures beautiful, if photographer has to be chosen carefully. Professional photographers are very much obsessed with their field and people are excited to get in touch with them because they exhibit these taken pictures outside to show their artistic work. When you will see professional work over and again, it will refresh your memory and will let you go back in the past, when you were standing on a very critical moment. Yes, photographer takes and capttures your those moments, which make you alive, when you open your album over and again with your wife or husband and with your children and grand children. Don’t make mistake of considering non-professionals.